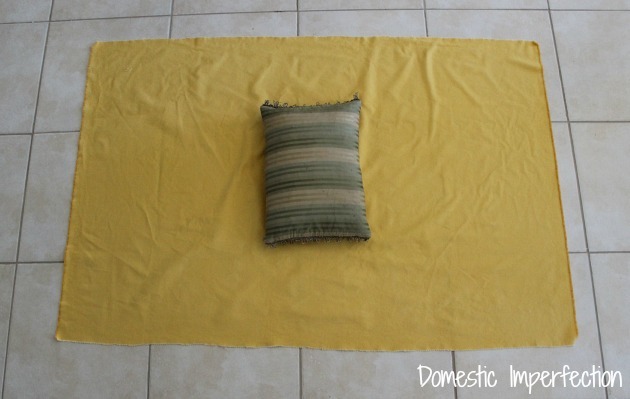 I’ve posted a few insanely easy projects over the years, but the one I have for you today takes the cake. 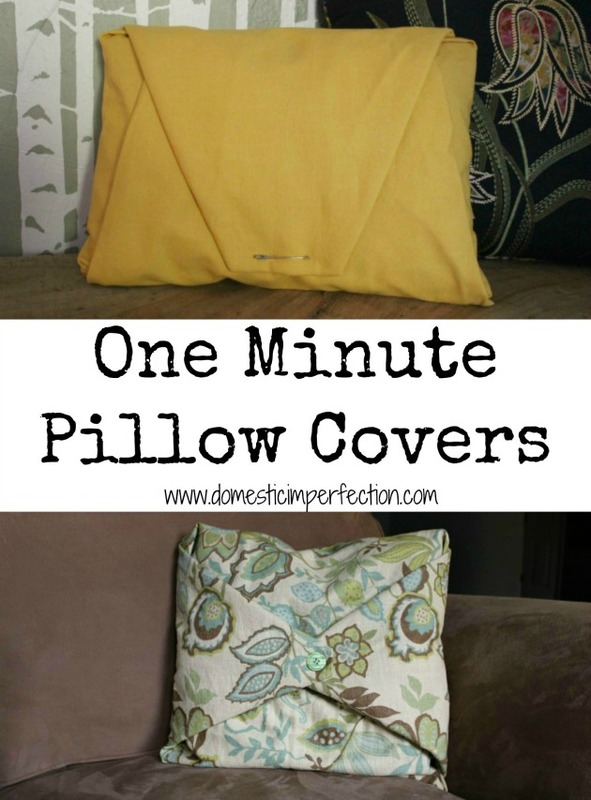 I like to call it the “one minute pillow” because you can literally make it in under a minute (unless you have to take pictures of it for a blog post, then it takes significantly longer). There’s no sewing, no gluing, no buying pillow forms, and no commitment. 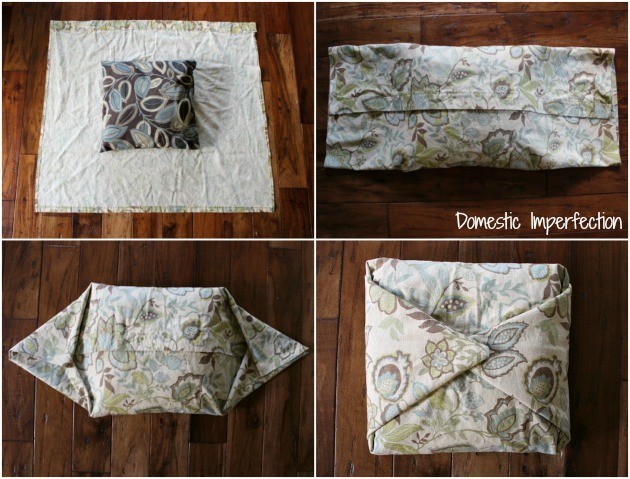 First step, grab a pillow from somewhere in your house and a piece of fabric. 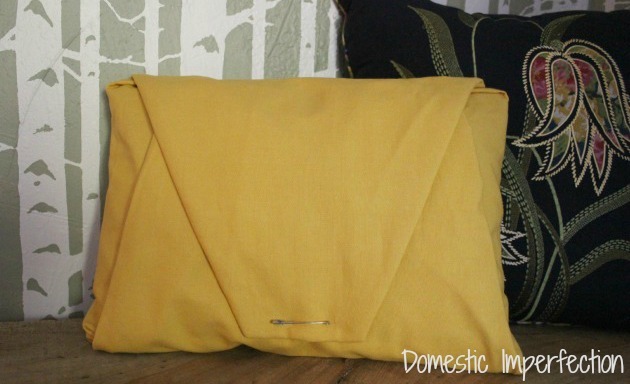 Ideally, your fabric should be a little over twice as tall and three times as wide as your pillow (or larger – some of mine were HUGE, because I didn’t want to cut the fabric). 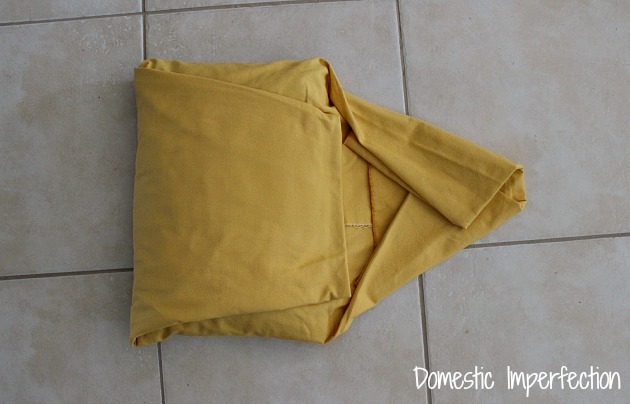 Fold the top and bottom over the pillow. Then fold the corners in like you are wrapping a present. And then I secured everything with a safety pin. After I made that first one I got the itch to make another…so I did. I have a ton of buttons left over from my giant button monogram, so I sewed one on the front to hold it all together. Then I had a light bulb moment…holiday pillows! This is PERFECT for that kind of stuff. 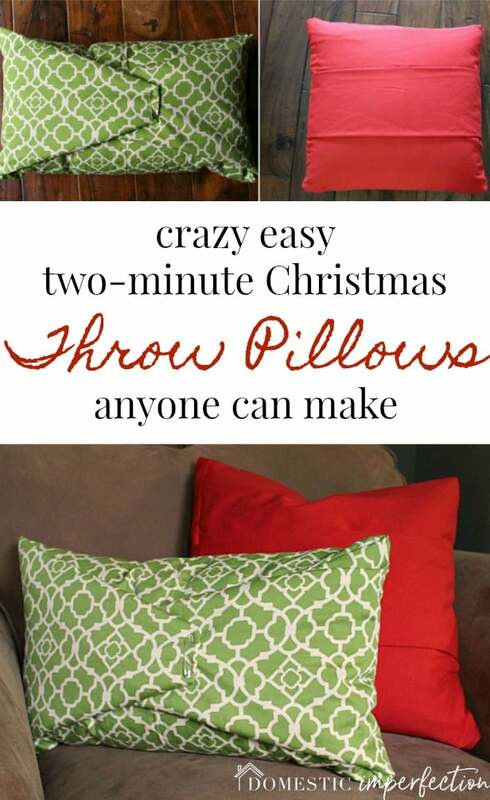 Christmas is coming, and although it would be fun to line your furniture with Christmas-y goodness, buying pillows is expensive, making them is time-consuming, and no one wants to store that stuff 49 weeks out of the year. I didn’t have any Christmas fabric on hand, but I did have some red and a graphic green. 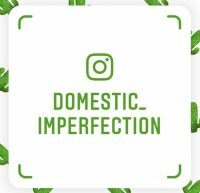 BAM, insta-cheer. Holiday goodness in two minutes flat. Don’t over think this…there are no rules. 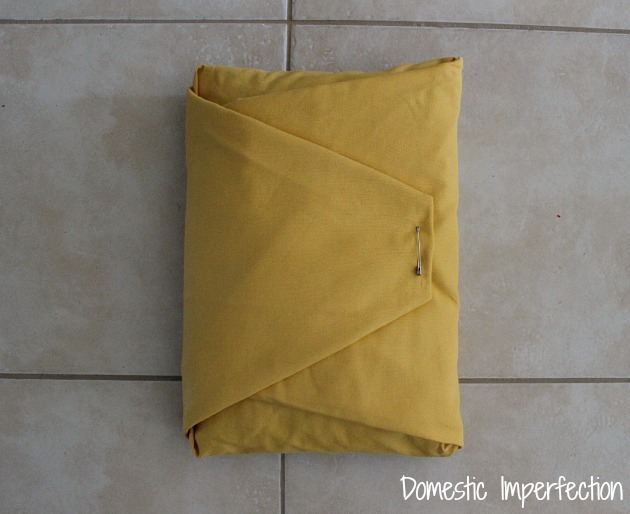 Fold it and secure it however you want…I even saw a folded pillow on pinterest that was secured with a belt! 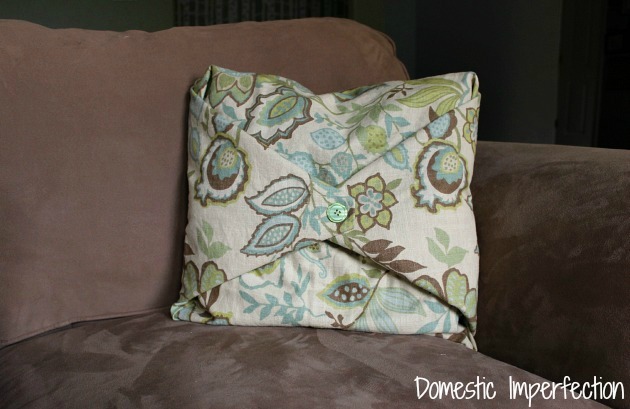 The hardest part of this tutorial is giving yourself permission to display pillows that barely cost you any time or money. 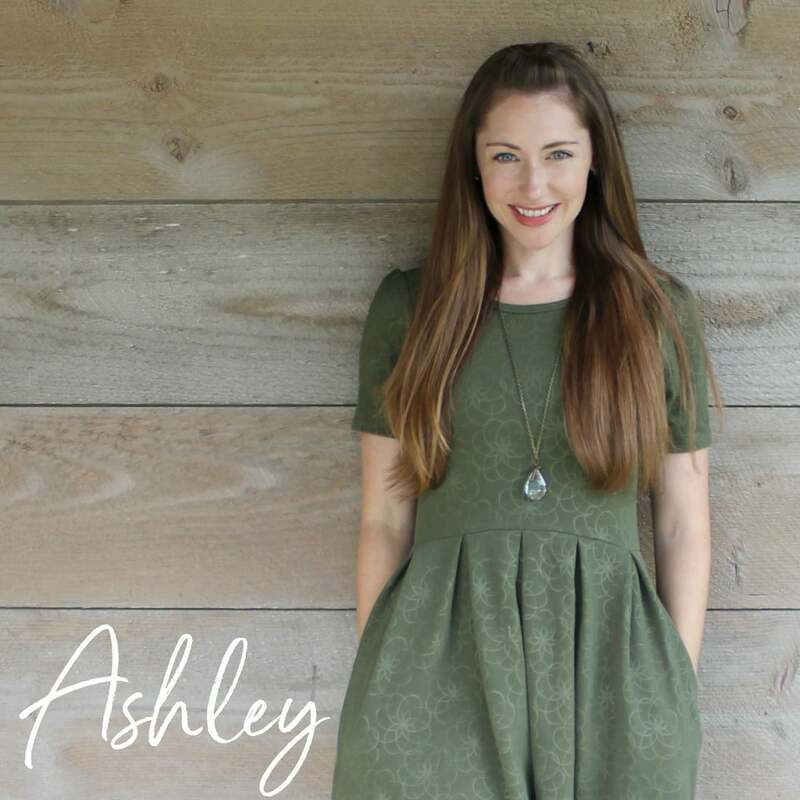 Love these Ashley! SO no SeW easy! Pinned it! so cute! 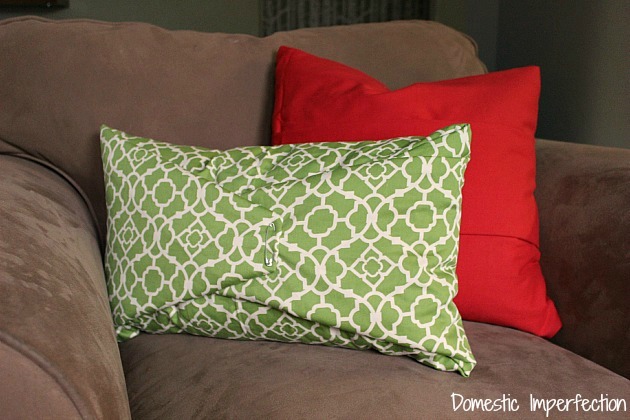 who doesn’t love quick and easy “BAM” projects?? 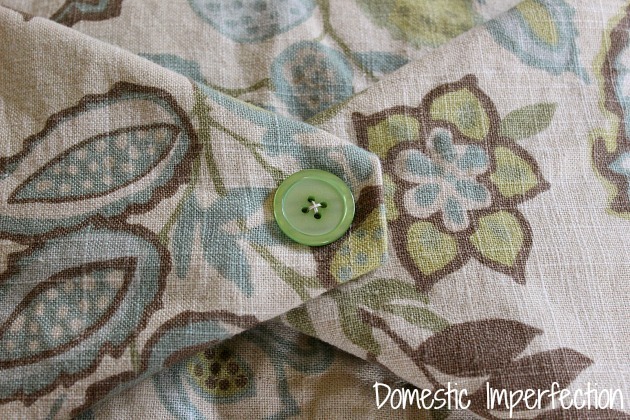 i’m curious, if you know – the fabric on your second pillow (the one you put the cute green button on) do you happen to know what it’s called or where it’s from? i love it! i saw something similar on another blog but it was suuuper expensive. i have no idea what i’d use it for (uh… duh. a pillow!! or many pillows!!!) but it matches pretty much my entire home decor and i’d find many, many uses for it!! as always awesome tutorial! happy holidays to you and your beautiful family! Oh man, that’s a good question! I bought it a few years ago at JoAnn’s…I seem to remember that Better Homes and Gardens makes it. Let me poke a round a bit and I’ll see if I can get you a name or a link. Of course, you’re so welcome! I know how frustrating it can be to see something you love and not be able to find it anywhere. Do you ever see something awesome in the background of a TV show and then spend forever googleing like crazy to see if you can find it? So frustrating. I say every TV show and movie should have a website where they list the stuff they used, like decor and clothes and stuff. And then they should post a link to a cheaper knock off version! all. the. time!! furniture, fabrics, gadgets, clothes, decor, etc. connnstantly see stuff on tv that i wish i could find IRL. they should definitely have somewhere they list stuff like that!! can you imagine!! that would be freaking amazing. my house sure would look different! :) thank you again Ashley!! @kismet – Modern Family is my new favorite tv show obsession, i want pretty much everything in all of their houses! i would kill for phil & claire’s kitchen, as well as their kitchen table set, and their couch and throw pillows (i bet *those* are sewed – lol!). i never noticed the painting but i just googled “modern family home decor” and guess what – i found your painting! scroll almost all the way down to the bottom of the page here http://recklessbliss.blogspot.com/p/modern-family-homes.html. it’s not something that’s readily available to buy (unless you can afford to commission the artist), but it’s a great pic of the original – if you’re a good artist, you could recreate this on your own! Oh gosh no, link away…that’s what the comments section is for! I’m so impressed that you found the source of that painting! I wonder how much a print would cost? That is a great blog post, Phil and Claire’s house has always been my favorite. I always notice that small blue, orange, and red gallery wall between their gallery wall and kitchen. Instead of a safety pin you could use a brooch, which would make it look fancier, and still have no sewing involved. Yes, that would look even better! Too bad I didn’t have any on hand…I’m to update the post to add that though. Did you post this special for me because I can’t sew? Bless you. Pinning. Easy is right! Thanks for a quickie ;) lol!